As a quiz show watcher I joked yesterday that if a hundred people on my high street were asked, “What’s the name of Sue Hampton’s grandson?” the score would be far from pointless. Nathaniel Paul was born five days ago and I’ve had my first long snuggle as he slept. Of course sleeping is something his mum and dad are rarely allowed to do, not least because they don’t want to miss a minute of his faces, moves (prone, but the choreography is still pretty thrilling) or, for the short periods when they’re open, his deep blue eyes. As Grandma I’m asked what I remember about these early days with his daddy, and I wish there was more to offer than a general sense of blissful peace broken regularly with anxiety. It’s the biggest thing we experience, until death, and however commonplace it is too – 31 million babies were born into the world last year – the news of a birth stirs emotion in those around it, even on the further reaches of Facebook friendship which on such occasions works as fast as a pebble in a pool. I was conscious, posting my pictures, of the mum who lost a daughter at twenty, and the dad whose son, the same age as mine, was killed in a road accident the day after Nathaniel’s arrival. Of the friends who never had children and having endured the constant prattle and news bulletins some thirty years ago now have to put up with grandchildren on all sides. Of refugee babies born in camps, or war zones. Life is miraculous – an adjective that even atheists may find themselves using when their baby begins it – but as adults we know hard truths about sadness, disappointment and all kinds of hurt and difficulty in our personal lives as well as the horrors on our screens. Looking at Nathaniel I’m struck by the mystery he holds. Who will he be? How will he sound, walk, laugh? What will he love? The urge to spare him all possible pain is overwhelming, desperate. But we can only know one thing about a baby we love: we will love him till the day we die. Perhaps that’s what makes being a grandma so potent – the knowledge that that day might not be so far off. Yesterday, talking to him as he slept, I told him that if I ever got lost, I hoped he would remember me when I could play. But my mum will soon be ninety-one, and is genuinely marvellous. It’s hard to imagine the difference that will make when he’s in her arms but I know that she’ll always live in him, like my dad. His mum has stitched him a family tree on a hoop and I love her for that – and so much more. Those who went before are part of him. During his mum’s pregnancy I wrote a number of short stories for a third collection, and discovered towards the end that while styles varied and stories took contrasting shapes, babies were dotted in various ways right through them. But I’m baby-conscious by nature and if my husband catches me smiling in a public place he generally looks for the baby or small child at the end of my gaze. Back in 2016 I wrote an experimental kind of story for WOKEN, called The Golden Baby. It’s a folk tale and its mood was inspired by Kazuo Ishiguro’s The Buried Giant (which I stopped reading when its plot lost me) with a style that was more densely poetic as I tried to reach for the kind of startling imagery that Geraldine McCaughrean pulls off with daring bravado, only for adults. But as I began it, I didn’t know where it would go – and while this is usually the case with a novel, in a short story the risk feels commensurately great. I knew, however, that it would be a story of greed, superstition and exploitation as well as healing acceptance – because the golden baby is found by a less than perfect child, neglected by the mother he failed. The story acknowledges darkness as well as the light the baby shines on snow, and one writer couldn’t deliver her promised review because she found the use of blood as a symbol too disturbing. As a mum who had three miscarriages I understand the power of blood and was sorry, but as I grow older I begin to feel that the shadows must be allowed in if we are to cherish brightness. One reviewer wrote, “This is a tale, vividly and beautifully told…” ending with, “The scene is set for magic and transformation.” Aren’t all births exactly that? She got eight As, including both kinds of English, and a C. Only Sue improved on that. 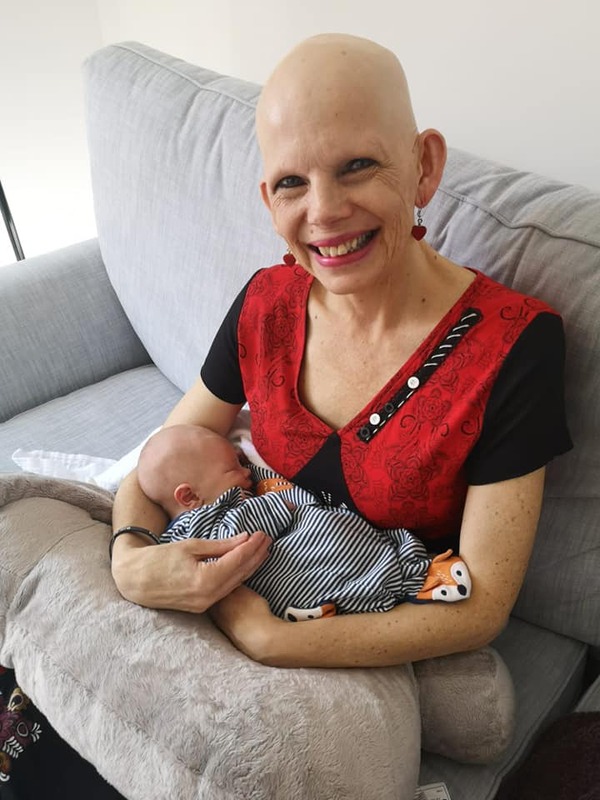 Her parents couldn’t have been more moved if she’d just survived a car crash, and when she called on Anne and the baby, she noticed her friend’s results slip stuck to the fridge with A for English ringed three times in red. Marilyn said she knew what she meant. “How are things?” she asked Anne, because there were six of them in the house now, not counting a malicious-looking cat that caressed her bare legs. I cried when I wrote that. Of course no life is a fairy tale. Not even Nathaniel’s. But I’m hoping to fill his with stories. Even more importantly, he’s so treasured, by two people so in love with him and each other, that he must know it already. He’ll always know it, and it will make all the difference. I can’t help making at least one of my characters pregnant in each of my novels ( every pregnancy is surely a drama )and one of the main characters in my trilogy is an amazing baby ( due to his strange origins! ). I had to imagine what it was like being a grandmother for my narrator and this made up baby felt very real and still feels like the first grandchild since the real ones came along! I’m sure Nathanial will enjoy the stories you make up for him. A beautifully written post. I’ve been feeling grandma-ready for a while and I totally empathise with the way you’ve written about Nathanial.